Johanna Ojala is a woman who breathes skiing. She has previously competed in cross country and is now both coach, teacher and lecturer in the same sport. 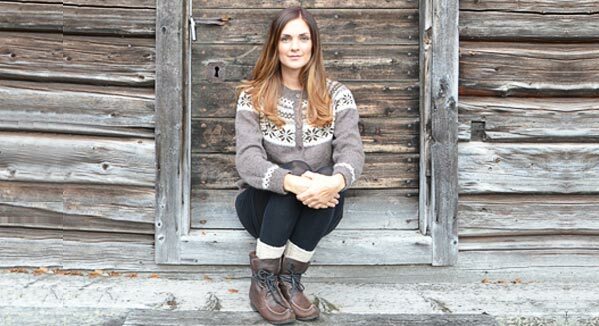 But she’s probably most known for being an expert commentator on SVT1’s Winter Studio. She is a sports nerd who through the years been practicing everything from basketball, dance, athletics, orienteering to skiing. For the latter caught her extra and competed as a junior at the highest level - both national and international. Although she no longer competes, she’s by her career faithful the skis. Today she combines work as a coach in cross country for a Norwegian private team owned by Thomas Alsgaard, a teacher at the ski high school in Östersund and keeps technical courses and lectures about training and leadership through her own company J. Ojala Coaching. And as if that were not enough, she is probably most known as an expert commentator and sidekick to André Pops on SVT1's Winter Studio. When Johanna isn’t working she’s, not surprisingly, skiing - uphill, downhill and sideways, with both wide and narrow skis. As long as Johanna can remember her Tornedalian mother had a couple beak boots from Kero. Johanna has glanced at them enviably and wished that she could inherit them. Unfortunately, she doesn’t share the same shoe size as her mother. But then one day when she was out strolling through boutiques she saw Blötnäbben and fell in love with them. After a visit to kero.se she realized that she connected to Keros values and applied for membership. - Me myself live in the mountains and want to preserve our nature in the best possible way. I appreciate Keros natural materials and their environmentally conscious approach. I value the idea of man and the environment in the development of the products we carry closest to our body. Then I'm also a bit old school and appreciates that Kero’s taking advantage of the genuine craftsmanship. And not to forget; Kero has amazingly cool and beautiful shoes, bags and accessories. My favorite is Blötnäbben, I wear them every day, Johanna concludes.